Bangkok, Thailand. Rev. Masamichi Kamiya, the special advisor to the ACRP Secretary General, paid courtesy visit to the UN Economic and Social Commission for Asia and the Pacific (ESCAP) on March 25, 2016. The meeting was in view of the aim to strengthen ACRP’s partnership with ASEAN and other Asian organizations both governmental and non-governmental to materialize ACRP’s vision-mission through collaboration and common action. Rev. 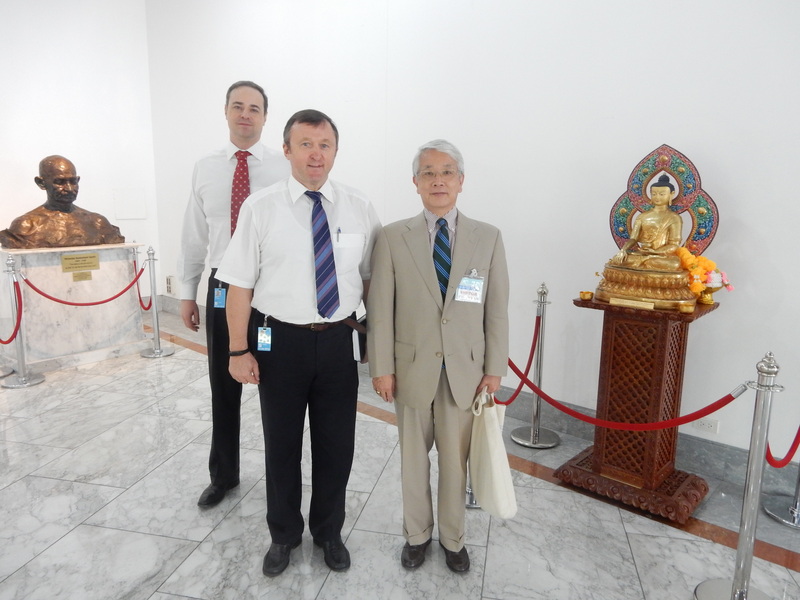 Kamiya had a very constructive discussion with Dr. Yuriy Kryvonos, the Director for the UN Regional Center for Peace and Disarmament in Asia and the Pacific (UNRCPD), and his staff. Both parties agreed to explore possible partnership between RfP Asia (ACRP) and UN bodies such as UNRCPD stationed in Bangkok and elsewhere in Asia and the Pacific region.